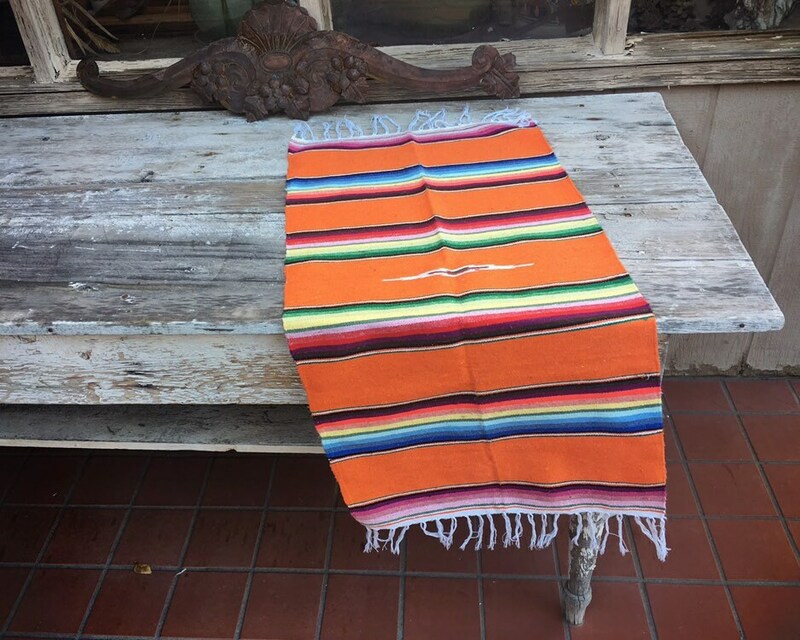 I purchased several of these vintage Mexican serape table runners from a single estate. 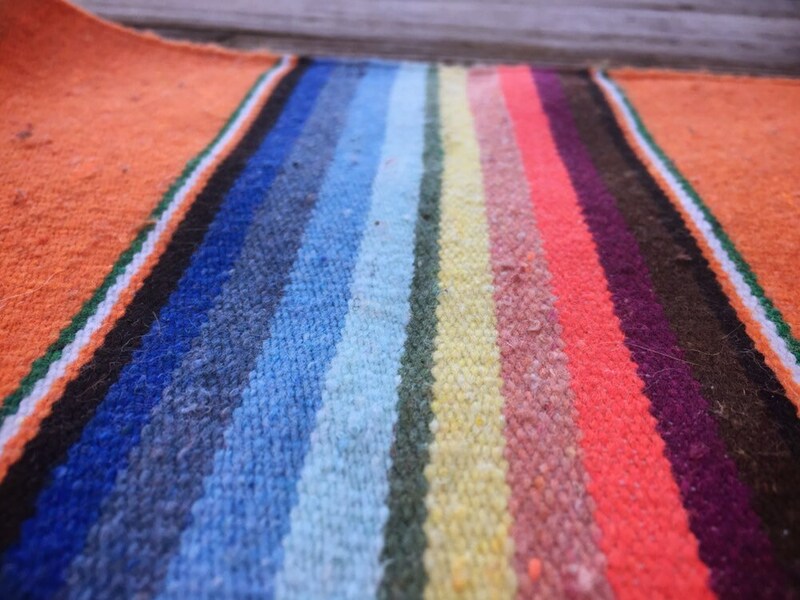 The material is wool and the colors are faded, and so the look is just so beautifully vintage and authentic, as it always is on wool serapes. 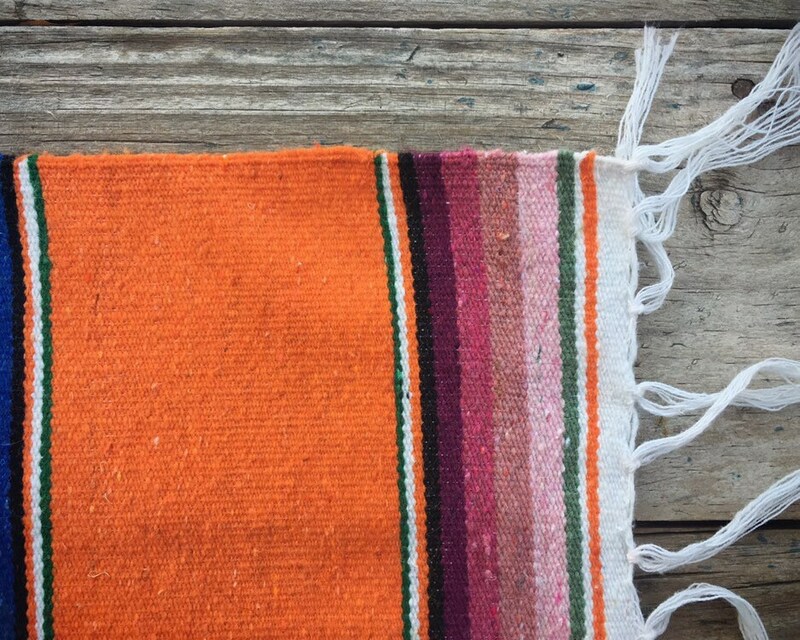 Perfect to use to cover a sidebar table or use as throw on a sofa. 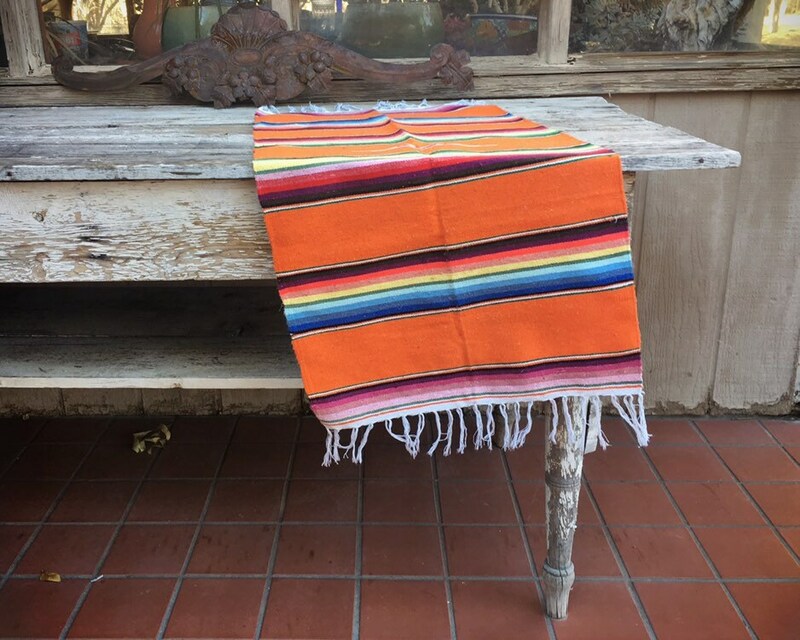 Also can be used as a wall hanging, and although it's not super thick, I suppose it might even be a good accent rug on a spot that's not traveled too much. 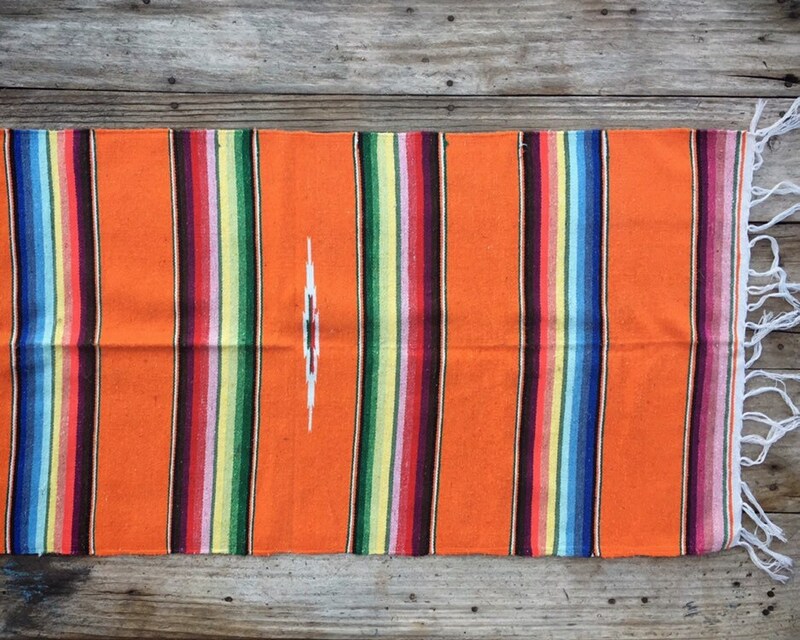 You wouldn't want to ruin the serape by walking over it a lot. 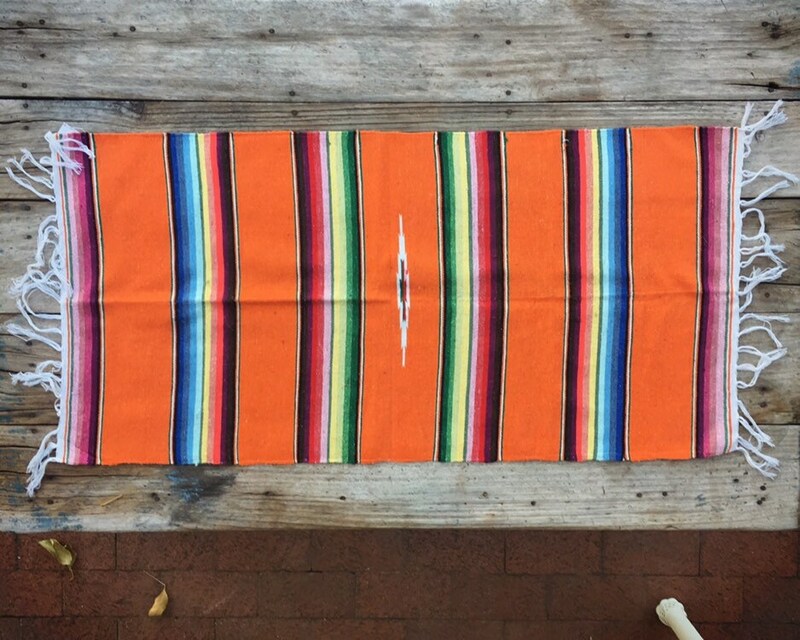 Measures about 18-3/4" wide by 40" long and a bit longer if you include the fringe. Spot clean and if you want to get out the creases, lay on warm bricks. 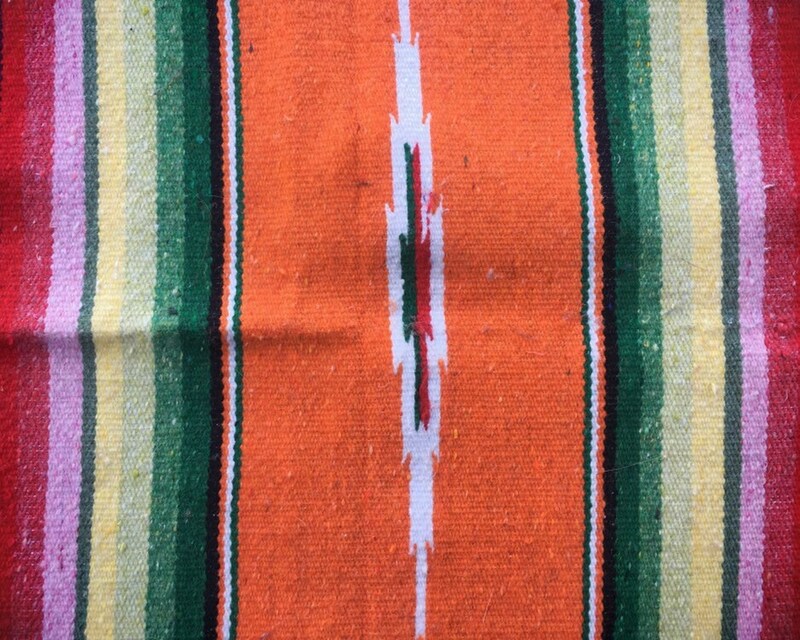 The warm emanating from the stone will work the creases out over time. 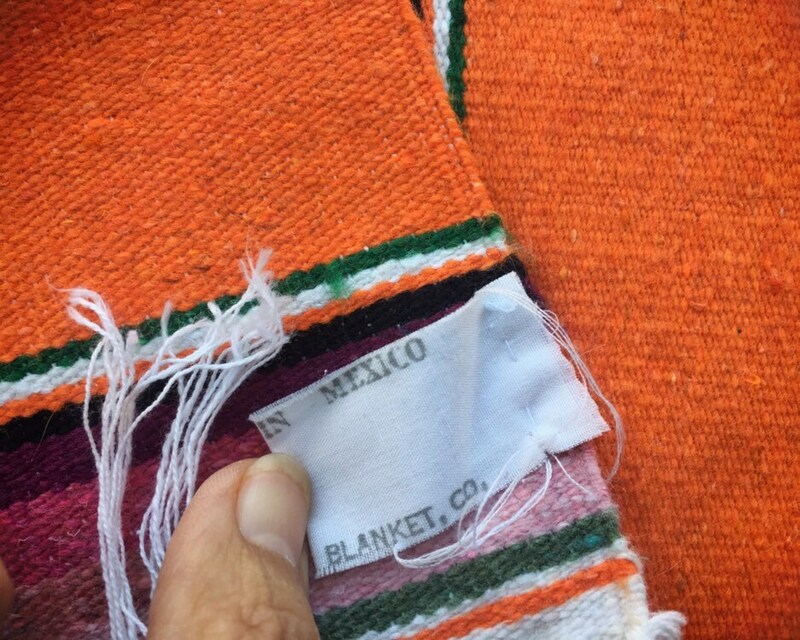 There are some areas where the thread has gotten snagged yet in good condition given the age. A small piece of color! Viva!